n an article for Bloomberg View last week titled “Why It’s Smart to Worry About ETFs”, Noah Smith wrote the following prescient truth: “No one knows the basic laws that govern asset markets, so there’s a tendency to use new technologies until they fail, then start over.” As we explored in WILTW June 1, 2017, algorithmic accountability has become a rising concern among technologists as we stand at the precipice of the machine-learning age. For more than a decade, blind faith in the impartiality of math has suppressed proper accounting for the inevitable biases and vulnerabilities baked into the algorithms that dominate the Digital Age. In no sector could this faith prove more costly than finance. The rise of passive investing has been well-reported, yet the statistics remain staggering. According to Bloomberg, Vanguard saw net inflows of $2 billion per day during the first quarter of this year. According to The Wall Street Journal, quantitative hedge funds are now responsible for 27% of all U.S. stock trades by investors, up from 14% in 2013. Based on a recent Bernstein Research prediction, 50% of all assets under management in the U.S. will be passively managed by early 2018. In these pages, we have time and again expressed concern about the potential distortions passive investing is creating. Today, evidence is everywhere in the U.S. economy — record low volatility despite a news cycle defined by turbulence; a stock market controlled by extreme top-heaviness; and many no-growth companies seeing ever-increasing valuation divergences. As always, the key questions are when will passive strategies backfire, what will prove the trigger, and how can we mitigate the damage to our portfolios? The better we understand the baked-in biases of algorithmic investing, the closer we can come to answers. At the heart of passive “dysfunction” are two key algorithmic biases: the marginalization of price discovery and the herd effect. Because shares are not bought individually, ETFs neglect company-by-company due diligence. This is not a problem when active managers can serve as a counterbalance. However, the more capital that floods into ETFs, the less power active managers possess to force algorithmic realignments. In fact, active managers are incentivized to join the herd—they underperform if they challenge ETF movements based on price discovery. This allows the herd to crowd assets and escalate their power without accountability to fundamentals. We see a similar dynamic at play with quants. Competitive advantage comes from finding data points and correlations that give an edge. However, incomplete or esoteric data can mislead algorithms. So the pool of valuable insights is self-limiting. Meaning, the more money quants manage, the more the same inputs and formulas are utilized, crowding certain assets. This dynamic is what caused the “quant meltdown” of 2007. Since, quants have become more sophisticated as they integrate machine learning, yet the risk of overusing algorithmic strategies remains. As Richter suggests, there’s a flip side to the self-propagating coin. If algorithms have a bias to buy, they can also have a bias to sell. As we explored in WILTW February 11, 2016, we are concerned about how passive strategies will react to a severe market shock. If a key sector failure, a geopolitical crisis, or even an unknown, “black box” bias pulls an algorithmic risk trigger, will the herd run all at once? With such a concentrated market, an increasing amount of assets in weak hands have the power to create a devastating “sell” cascade—a risk tech giant stocks demonstrated over the past week. With leverage on the rise, the potential for a “sell” cascade appears particularly threatening. Quant algorithms are designed to read market tranquility as a buy-sign for risky assets—another bias of concern. Currently, this is pushing leverage higher. As reported by The Financial Times, Morgan Stanley calculates that equity exposure of risk parity funds is now at its highest level since its records began in 1999. J.P. Morgan estimated this week that passive and quantitative investors now account for 60% of equity assets, which compares to less than 30% a decade ago. Moreover, they estimate that only 10% of trading volumes now originate from fundamental discretionary traders. This unprecedented rate of change no doubt opens the door to unaccountability, miscalculation and in turn, unforeseen consequence. We will continue to track developments closely as we try and pinpoint tipping points and safe havens. As we’ve discussed time and again with algorithms, advancement and transparency are most-often opposing forces. If we don’t pry open the passive black box, we will miss the biases hidden within. And given the power passive strategies have rapidly accrued, perpetuating blind faith could prove devastating. Scarcely more than a year since it was signed, the Smithsonian Agreement, the “greatest monetary agreement in the history of the world” (in the words of President Nixon) lay in shambles. And so the world vibrates, with increasing intensity, between fixed and fluctuating exchange rates, with each system providing only a different set of ills. We apparently live in a world of perpetual international monetary crises. Economic theory tells us the myriad evils that stem from any attempt at price controls of goods and services. Maximum price controls lead to artificially created shortages of the product; minimum controls lead to artificial unsold surpluses. There is a ready cure for these economic ills; they are caused not by processes deep within the free market economy, but by arbitrary government intervention into the market. Remove the controls, let market processes have full sway, and shortages and surpluses will disappear. Similarly, the monetary crises of recent years are the product of government attempts to fix exchange rates between currencies. If the government of Ruritania fixes the “rur” at a rate higher than its free market price, then there will be a surplus of rurs looking for undervalued currencies, and a shortage of these harder currencies. The “dollar shortage” of the early postwar years was the result of the dollar being undervalued in terms of other currencies; the current surplus of dollars, as compared to West German marks or Japanese yen, is a reflection of the overvaluation of the dollar compared to these other currencies. Allow all of these currencies to fluctuate freely on the market, and the currencies will find their true levels, and the various currency shortages and surpluses will disappear. Furthermore, there will be no need to worry any longer about deficits in any country’s “balance of payments.” Under the pre-1971 system, when dollars were at least theoretically redeemable in gold, an excess of imports over exports led to a piling up of dollar claims and an increasingly threatening outflow of gold. Eliminate gold redeemability and allow the currencies to fluctuate freely, and the deficit will automatically correct itself as the dollar suppliers bid up the prices of marks and yen, thereby making American goods less expensive and German and Japanese goods more expensive in the world market. Such is the Friedmanite case for the freely fluctuating exchange rate solution to the world monetary crisis. Any objection is met by a variant of the usual case for a free market. Thus, if critics assert that changing exchange rates introduce unwelcome uncertainty into world markets and thereby hinder international trade, particularly investment, the Friedmanites can reply that uncertainty is always a function of a free price system, and most economists support such a system. If the critics point to the evils of currency speculation, then Friedmanites can reply by demonstrating the important economic functions of speculation on the free commodity markets of the world. All this permits the Friedmanites to scoff at the timidity and conservatism of the world’s bankers, journalists, and a dwindling handful of economists. Why not try freedom? These arguments, coupled with the obvious and increasingly evident evils of such fixed exchange rate systems as Bretton Woods (1945–1971) and the Smithsonian (1971–1973), are bringing an increasing number of economists into the Friedmanite camp. The Friedmanite program cannot be fully countered in its details; it must be considered at the level of its deepest assumptions. Namely, are currencies really fit subjects for “markets”? Can there be a truly “free market” between pounds, dollars, francs, and so on? Let us begin by considering this problem: suppose that someone comes along and says, “The existing relationship between pounds and ounces is completely arbitrary. The government has decreed that 16 ounces are equal to 1 pound. But this is arbitrary government intervention; let us have a free market between ounces and pounds, and let us see what relationship the market will establish between ounces and pounds. Perhaps we will find that the market will decide that 1 pound equals 14 or 17 ounces.” Of course, everyone would find such a suggestion absurd. But why is it absurd? Not from arbitrary government edict, but because the pound is universally defined as consisting of 16 ounces. Standards of weight and measurement are established by common definition, and it is precisely their fixity that makes them indispensable to human life. Shifting relationships of pounds to ounces or feet to inches would make a mockery of any and all attempts to measure. But it is precisely the contention of the gold standard advocates that what we know as the names for different national currencies are not independent entities at all. They are not, in essence, different commodities like copper or wheat. They are, or they should be, simply names for different weights of gold or silver, and hence should have the same status as the fixed definition for any set, of weights and measures. Let us bring our example a bit closer to the topic of money. Suppose that someone should come along and say, “The existing relationship between nickels and dimes is purely arbitrary. It is only the government that has decreed that two nickels equal one dime. Let us have a free market between nickels and dimes. Who knows? Maybe the market will decree that a dime is worth 7 cents or 11 cents. Let us try the market and see.” Again, we would feel that such a suggestion would be scarcely less absurd. But again, why? What precisely is wrong with the idea? Again the point is that cents, nickels, and dimes are defined units of currency. The dollar is defined as equal to 10 dimes and 100 cents, and it would be chaotic and absurd to start calling for day-to-day changes in such definitions. Again, fixity of definition, fixity of units of weight and measure, is vital to any sort of accounting or calculation. To put it another way: the idea of a market only makes sense between different entities, between different goods and services, between, say, copper and wheat, or movie admissions. But the idea of a market makes no sense whatever between different units of the same entity: between, say, ounces of copper and pounds of copper. Units of measure must, to serve any purpose, remain as a fixed yardstick of account and reckoning. The basic gold standard criticism of the Friedmanite position is that the Chicagoites are advocating a free market between entities that are in essence, and should be once more, different units of the same entity, that is, different weights of the commodity gold. For the implicit and vital assumption of the Friedmanites is that every national currency—pounds, dollars, marks, and the like—is and should be an independent entity, a commodity in its own right, and therefore should fluctuate freely with one another. Let us consider: what are pounds, francs, dollars? Where do they come from? The Friedmanites take them at face value as things or entities issued at will by different central governments. The British government defines something as a “pound” and issues or controls the issue of whatever number of pounds it decides upon (or controls the supply of bank credit redeemable in these “pounds”). The United States government does the same for “dollars,” the French government the same for “francs,” and so on. The first thing we can say, then, is that this is a very curious kind of “free market” that is being advocated here. For it is a free market in things, or entities, which are issued entirely by and are at the complete mercy of each respective government. Here is already a vital difference from other commodities and free markets championed by the Chicago school. Copper, steel, wheat, movies are all, in the Friedman scheme, issued by private firms and organizations, and subject to the supply and demand of private consumers and the free market. Only money, only these mysterious “dollars,” “marks,” and so on, are to be totally under the control and dictation of every government. What sort of “free” market is this? To be truly analogous with free markets in other commodities, the supply of money would have to be produced only by private firms and persons in the market, and be subject only to the demand and supply forces of private consumers and producers. It should be clear that the governmental fiat currencies of the Friedmanite scheme cannot possibly be subject only to private and therefore to free market forces. Is there any way by which the respective national moneys can be subject solely to private market forces? Is such a thing at all possible? Not only is the answer yes, but it is still true that the origin of all these currencies that the Friedmanites take at face value as independent entities, was, each and every one, as units of weight of gold in a truly private and free market for money. 1 franc defined as one-hundredth of a gold ounce. 1 pound is defined as equal to 5 dollars, and to 25 francs. We might say that the “exchange rates” between the various countries were thereby fixed. But these were not so much exchange rates as they were various units of weight of gold, fixed ineluctably as soon as the respective definitions of weight were established. To say that the governments “arbitrarily fixed” the exchange rates of the various currencies is to say also that governments “arbitrarily” define 1 pound weight as equal to 16 ounces or 1 foot as equal to 12 inches, or “arbitrarily” define the dollar as composed of 10 dimes and 100 cents. Like all weights and measures, such definitions do not have to be imposed by government. They could, at least in theory, have been set by groups of scientists or by custom and commonly accepted by the general public. This “classical gold standard” had numerous and considerable economic and social advantages. In the first place, the supply of money in the various countries was basically determined, not by government dictates, but—like copper, wheat, and so on—by the supply and demand forces of the free and private market. Gold was and is a metal that has to be discovered, and then mined, by private firms. Its supply was determined by market forces, by the demand for gold in relation to the demand and supply of other commodities and factors; by, for example, the relative cost and productivity of factors of production in mining gold and in producing other goods and services. At its base, the money supply of the world, then, was determined by free market forces rather than by the dictates of government. While it is true that governments were able to interfere with the process by weakening the links between the currency name and the weight of gold, the base of the system was still private, and hence it was always possible to return to a purely private and free monetary system. To the extent that the various currency names were kept as strictly equivalent to weights of gold, to that extent the classical gold standard worked well and harmoniously and without severe inflation or booms and busts. The international gold standard had other great advantages. It meant that the entire world was on a single money, that money, with all its enormous advantages, had fully replaced the chaotic world of barter, where it is impossible to engage in economic calculation or to figure out prices, profits, or losses. Only when the world was on a single money did it enjoy the full advantage of money over barter, with its attendant economic calculation and the corollary advantages of freedom of trade, investment, and movement between the various countries and regions of the civilized world. One of the main reasons for the great growth and prosperity of the United States, it is generally acknowledged, was that it consisted of a large free-trading area within the nation: we have always been free of tariffs and trading quotas between New York and Indiana, or California and Oregon. But not only that. We have also enjoyed the advantage of having one currency: one dollar area between all the regions of the country, East, West, North, and South. There have also been no currency devaluations or exchange controls between New York and Indiana. 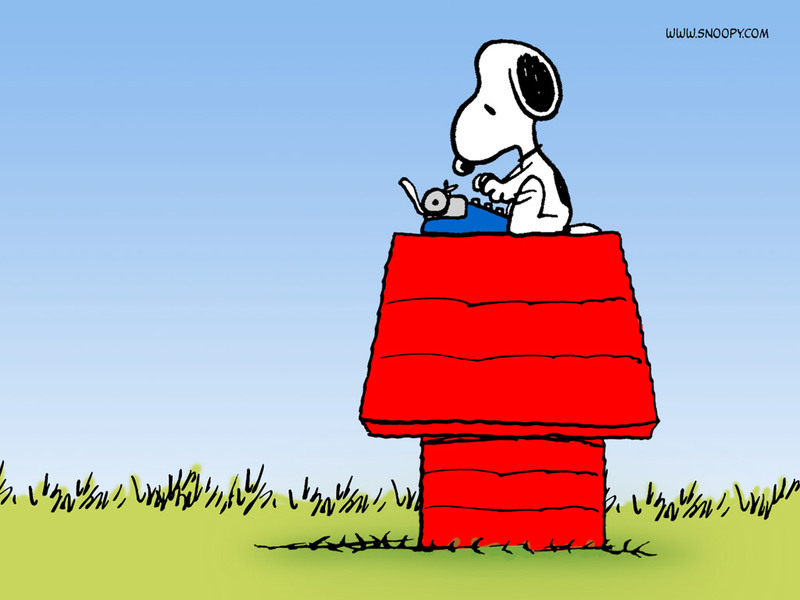 But let us now contemplate instead what could happen were the Friedmanite scheme to be applied within the United States. After all, while a nation or country may be an important political unit, it is not really an economic unit. No nation could or should wish to be self-sufficient, cut off from the enormous advantages of international specialization and the division of labor. The Friedmanites would properly react in horror to the idea of high tariffs or quota walls between New York and New Jersey. But what of different currencies issued by every state? If, according to the Friedmanites, the ultimate in monetary desirability is for each nation to issue its own currency—for the Swiss to issue Swiss francs, the French their francs, and so on—then why not allow New York to issue its own “yorks,” New Jersey its own “jersies,” and then enjoy the benefits of a freely fluctuating “market” between these various currencies? But since we have one money, the dollar, within the United States, enjoying what the Friedmanites would call “fixed exchange rates” between each of the various states, we don’t have any monetary crisis within the country, and we don’t have to worry about the “balance of payments” between New York, New Jersey, and the other states. Furthermore, it should be clear that what the Friedmanites take away with one hand, so to speak, they give back with the other. For while they are staunchly opposed to tariff barriers between geographical areas, their freely fluctuating fiat currencies could and undoubtedly would operate as crypto-tariff barriers between these areas. During the fiat money Greenback period in the United States after the Civil War, the Pennsylvania iron manufacturers, who had always been the leading advocates of a protective tariff to exclude more efficient and lower cost British iron, now realized that depreciating greenbacks functioned as a protective device: for a falling dollar makes imports more expensive and exports cheaper.1 In the same way, during the international fiat money periods of the 1930s (and now from March 1973 on), the export interests of each country scrambled for currency devaluations, backed up by inefficient domestic firms trying to keep out foreign competitors. And similarly, a Friedmanite world within the United States would have the disastrous effect of functioning as competing and accelerating tariff barriers between the states. And if independent currencies between each of the fifty states is a good thing, why not go still one better? Why not independent currencies to be issued by each county, city, town, block, building, person? Friedmanite monetary theorist Leland B. Yeager, who is willing to push the reductio ad absurdum almost all the way by advocating separate moneys for each region or even locality, draws back finally at the idea of each individual or firm printing his own money. Why not? Because, Yeager concedes, “Beyond some admittedly indefinable point, the proliferation of separate currencies for ever smaller and more narrowly defined territories would begin to negate the very concept of money.”2 That it would surely do, but the point is that the breakdown of the concept of money begins to occur not at some “indefinable point” but as soon as any national fiat paper enters the scene to break up the world’s money. For if Rothbard, Yeager, and Jones each printed his own “Rothbards,” “Yeagers,” and “Joneses” and these each amng billions freely fluctuating on the market were the only currencies, it is clear that the world would be back in an enormously complex and chaotic form of barter and that all trade and investment would be reduced to a virtual standstill. There would in fact be no more money, for money means a general medium for all exchanges. As a result, there would be no money of account to perform the indispensable function of economic calculation in a money and price system. But the point is that while we can see this clearly in a world of “every man his own currency,” the same disastrous principle, the same breakdown of the money function, is at work in a world of fluctuating fiat currencies such as the Friedmanites are wishing upon us. The way to return to the advantages of a world money is the opposite of the Friedmanite path: it is to return to a commodity which the entire world can and does use as a money, which means in practice the commodity gold. … So much of barbarism, however, still remains in the transactions of most civilized nations, that almost all independent countries choose to assert their nationality by having, to their own inconvenience and that of their neighbors, a peculiar currency of their own. There is another reason for avoiding fiat paper currency issued by all governments and for returning instead to a commodity money produced on the private market (for example, gold). For once a money is established, whatever supply of money exists does the full amount of the “monetary work” needed in the economy. Other things being equal, an increase in the supply of steel, or copper, or TV sets is a net benefit to society: it increases the production of goods and services to the consumers. But an increase in the supply of money does no such thing. Since the usefulness of money comes from exchanging it rather than consuming it or using it up in production, an increased supply will simply lower its purchasing power; it will dilute the effectiveness of any one unit of money. An increase in the supply of dollars will merely reduce the purchasing power of each dollar, that is, will cause what is now called “inflation.” If money is a scarce market commodity, such as gold, increasing its supply is a costly process and therefore the world will not be subjected to sudden inflationary additions to its supply. But fiat paper money is virtually costless: it costs nothing for the government to turn on the printing press and to add rapidly to the money supply and hence to ruinous inflation. Give government, as the Friedmanites would do, the total and absolute power over the supply of fiat paper and of bank deposits—the supply of money—and we put into the hands of government a standing and mighty temptation to use this power and inflate money and prices. Given the inherent tendency of government to inflate the money supply when it has the chance, the absence of a gold standard and “fixed exchange rates” also means the loss of balance-of-payments discipline, one of the few checks that governments have faced in their eternal propensity to inflate the money supply. In such a system, the outflow of gold abroad puts the monetary authorities on increased warning that they must stop inflating so as not to keep losing gold. Abandon a world money and adopt fluctuating fiat moneys, and the balance-of-payments limitation will be gone; governments will have only the depreciating of their currencies as a limit on their inflationary actions. But since export firms and inefficient domestic firms tend actually to favor depreciating currencies, this check is apt to be a flimsy one indeed. The real trouble with the advocates of indefinitely flexible exchange rates is that they fail to take into sufficient consideration the causes of balance-of-payments disequilibrium. Now these, unlike Pallas Athene from Zeus’ head, never spring “fully armed” from a particular economic situation. They have their causes, the most basic of which [are] internal inflations or major changes in world markets. If governments are likely to use any power to inflate fiat currency that is placed in their hands, they are indeed almost as likely to use the power to impose exchange controls. It is politically naive in the extreme to place the supply of fiat money in the hands of government and then to hope and expect it to refrain from controlling exchange rates or going on to impose more detailed exchange controls. In particular, in the totally fiat economy that the world has been plunged into since March 1973, it is highly naive to expect European countries to sit forever on their accumulation of 80-odd billions of dollars—the fruits of decades of American balance-of-payments deficits—and expect them to allow an indefinite accumulation of such continually depreciating dollars. It is also naive to anticipate their accepting a continually falling dollar and yet do nothing to stem the flood of imports of American products or to spur their own exports. Even in the few short months since March 1973 central banks have intervened with “dirty” instead of “clean” floats to the exchange rates. When the dollar plunged rapidly downward in early July, its fall was only checked by rumors of increased “swap” arrangements by which the Federal Reserve would borrow “hard” foreign currencies with which to buy dollars. But it should be clear that such expedients can only stem the tide for a short while. Ever since the early 1950s, the monetary policies of the United States and the West have been short-run expedients, designed to buy time, to delay the inevitable monetary crisis that is rooted in the inflationary regime of paper money and the abandonment of the classical gold standard. The difference now is that there is far less time to buy, and the distance between monetary crises grows ever shorter. All during the 1950s and 1960s the Establishment economists continued to assure us that the international regime established at Bretton Woods was permanent and impregnable, and that if the harder money countries of Europe didn’t like American inflation and deficits there was nothing they could do about it. We were also assured by the same economists that the official gold price of $35 an ounce—a price which for long has absurdly undervalued gold in terms of the depreciating dollar—was graven in stone, destined to endure until the end of time. But on August 15, 1971, President Nixon, under pressure by European central banks to redeem dollars in gold, ended the Bretton Woods arrangement and the final, if tenuous, link of the dollar to redemption in gold. We are also told, with even greater assurance (and this time by Friedmanite as well as by Keynesian economists) that when, in March 1968, the free market gold price was cut loose from official governmental purchases and sales, that gold would at last sink to its estimated nonmonetary price of approximately $10 an ounce. Both the Keynesians and the Friedmanites, equal deprecators of gold as money, had been maintaining that, despite appearances, it had been the dollar which had propped up gold in the free—gold markets of London and Zurich before 1968. And so when the “two-tier gold market” was established in March, with governments and their central banks pledging to keep gold at $35 an ounce, but having nothing further to do with outside purchases or sales of gold, these economists confidently predicted that gold would soon disappear as a monetary force to reckon with. And yet the reverse has happened. Not only did gold never sink below $35 an ounce on the free market, but the market’s perceptive valuation of gold as compared to the shrinking and depreciating dollar has now hoisted the free market gold price to something like $125 an ounce. And even the hallowed $35 an ounce figure has been devalued twice in the official American accounts, so that now the dollar—still grossly overvalued—is pegged officially at $42.22 an ounce. Thus, the market has continued to give a thumping vote of confidence to gold, and has brought gold back into the monetary picture more strongly than ever. Without gold, without an international money, the world is destined to stumble into one accelerated monetary crisis after another, and to veer back and forth between the ills and evils of fluctuating in exchange rates and of fixed exchange rates without gold. Without gold as the basic money and means of payment, fixed exchange rates make even less sense than fluctuating rates. Yet a solution to the most glaring of the world’s aggravated monetary ills lies near at hand, and nearer than ever now that the free-gold market points the way. That solution would be for the nations of the world to return to a classical gold standard, with the price fixed at something like the old current free market level. With the dollar, say, at $125 an ounce, there would be far more gold to back up the dollar and all other national currencies. Exchange rates would again be fixed by the gold content of each currency. While this would scarcely solve all the monetary problems of the world—there would still be need for drastic reforms of banking and central bank inflation, for example—a giant step would have been taken toward monetary sanity. At least the world would have a money again, and the spectre of a calamitous return to barter would have ended. And that would be no small accomplishment. The rise of passive asset management threatens to fundamentally undermine the entire system of capitalism and market mechanisms that facilitate an increase in the general welfare, according to analysts at research and brokerage firm Sanford C. Bernstein & Co., LLC. In a note titled “The Silent Road to Serfdom: Why Passive Investing is Worse Than Marxism,” a team led by Head of Global Quantitative and European Equity Strategy Inigo Fraser-Jenkins, says that politicians and regulators need to be cognizant of the social case for active management in the investment industry. “A supposedly capitalist economy where the only investment is passive is worse than either a centrally planned economy or an economy with active market led capital management,” they write. 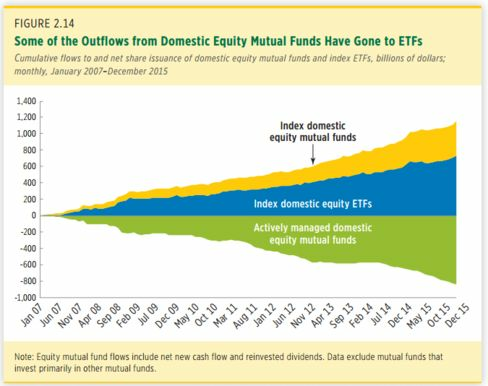 High fees and subpar returns, coupled with the creation of a plethora of relatively inexpensive exchange-traded funds that track major equity indexes have helped fuel a massive shift in asset flows away from active management in favor of passive. While policymakers are quick to praise the benefits of these low-cost options for retail investors, Bernstein argues that this is a short-sighted view that doesn’t take into account the potential downsides involved with the increase in passively-managed assets. Fraser-Jenkins notes that the rise of indexing should theoretically entail that stocks tend to move in the same direction more often (though such a simple relationship isn’t necessarily borne out by the data), and cites research indicating that “if the correlation of stocks increases then that impedes the efficient allocation of capital. That is, there isn’t as big of a difference in capital expenditures on a sector by sector basis than what would be expected based on relative profit growth. The social function of active management, in a capitalist society, is that it seeks to direct capital to its most productive end, facilitating sustainable job creation and a rise in the aggregate standard of living. And rather than be guided by the Invisible Hand and profit motive, capital allocation under Marxism is conducted by an oh-so-visible hand aimed at producing use-values that satisfy each member of the society’s needs. Seen through this lens, passive management is somewhat tantamount to a nihilistic approach to capital allocation. To adapt a line from a Coen brothers classic: Say what you will about the tenets of Marxism, Dude, at least it’s a formal attempt to direct capital to achieve a desired end. “The commonality between both active market management and the Marxist approach is that in both cases there are a set of agents trying – at least in principle – to optimize the flows of capital in the real economy,” writes Fraser-Jenkins. 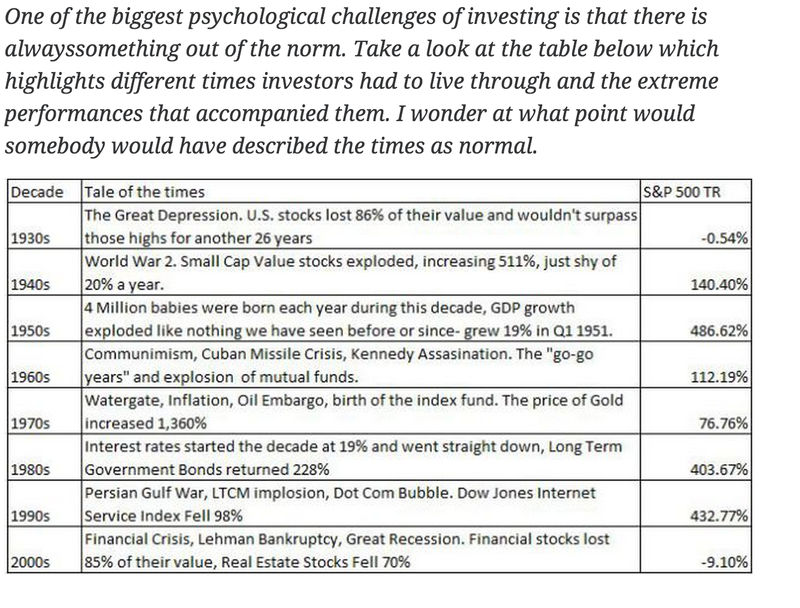 While the question of whether the rise of passive investing is an existential threat to capitalism remains an open one, Bernstein’s team acknowledges one uncomfortable truth: it certainly looms as a major downside risk for the livelihoods of people who produce sell side equity research. Just putting on trial a new stock + options strategy. Have been looking for the missing piece on this basic strategy for a while now. By chance, just heard something on the internet that clicked, and with a couple of simple modifications, I had the missing piece to make my strategy complete. Anyway, going to run it for a couple of months and test whether the reality matches the theory. The market has a horrible way of trashing theoretically beautiful strategies.